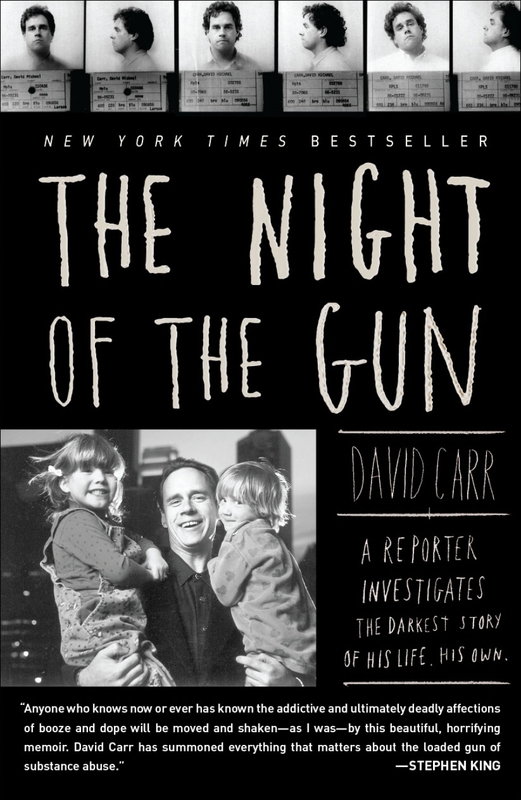 David Carr’s masterful “The Night of the Gun: A Reporter Investigates the Darkest Story of His Life” is a must read. Carr – whose writing I only have known and valued through his New York Times media blog – turns out to have a stunningly original and compelling voice. And it’s not just the way he turns a phrase. This is the fully-authentic voice of a real human being; completely without contrivance or hustle or self-consciously ornate prose. Carr writes with sheer brilliance on the topic of memory and personal narrative. Having struggled to uncover the facts of his own astoundingly messy story, he is incredibly insightful about how we all create artificially coherent and linear life narratives to mask the unsettling confusion and turmoil we would like to forget. This is the work of a supremely self-aware man who scrupulously avoids artificial tidiness and clarity as he tells the story of a life that has been anything but. It is almost scary to imagine what might be possible if Carr ever tries a novel. A brew like this of luminous prose and excruciating honesty could be combustible. I haven’t felt this way since James Ellroy published My Dark Places and set the standard for painful and honest self-exploration. There may be no logical reason why Carr made it through all the personal horrors he faced “midway in life’s journey,” but he did and emerged to tell a remarkable tale. Previous Previous post: The French Connection: Even Better Now!